Sitharaman said that both India and France have been victims of terrorism and that French government was playing a unique role in combating the menace. PARIS: In a clear reference to cross-border terrorism from Pakistan, Defence Minister Nirmala Sitharaman has said the presence of terror infrastructure and state support to terrorists in the immediate neighbourhood are constantly testing India's patience and New Delhi was exercising great restraint in dealing with it. In an address at the Institute of Strategic Research here, she said concerted efforts are required to choke financing and supply of arms to the terror groups besides disrupting the recruitment and mobilisation of "foreign terrorists". The defence minister arrived here Thursday on a three-day visit with an aim to further bolster Indo-French strategic ties. Sitharaman said the current international security environment can be characterised as one of rapid change and uncertainty, with swathes of sustained instability and violence posing a grave challenge. She also said that the interplay between "states and non-state actors", that are often used as proxies to foment violence, has been having severe consequences. Sitharaman said areas of continued violence and instability in the Af-Pak region, as well as parts of West Asia and Africa, have functioned as incubators of virulent manifestations of terrorism. This, she said, combined with the issue of foreign terrorist fighters and uncontrolled migration now pose a clear threat to the stability of wider Asia and Europe. Delivering her lecture on "India-France Defence Engagement in a Multipolar World", Sitharaman said her visit here is a reaffirmation of India's commitment to the strategic partnership with France, especially in the critical areas of defence cooperation. "Under the new framework for the defence industry in India, we are hoping to meet our defence requirements within a framework of joint manufacturing and technology-driven partnerships," she said. 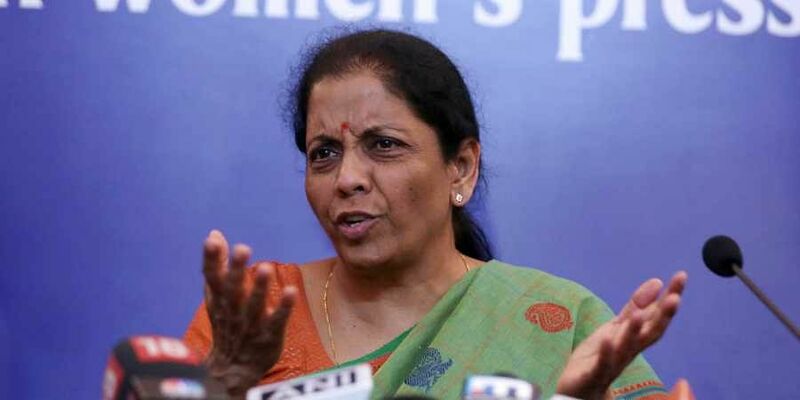 Sitharaman said India presents a major opportunity for the French defence industry and that Indian government's 'Make-in-India' initiative opens doors for third country exports. The defence minister said such cooperation will be crucial in order to preserve the strategic interests and in maintaining the safety of international sea lanes for unimpeded commerce and communications in accordance with international law. "India has been constantly supportive of recent efforts to bring about peace and stability in the Korean Peninsula through dialogue and diplomacy. "Developments in the Middle East and West Asia are of great significance for India. India has key stakes in this region, which accounts for 66 per cent of our energy requirements and is home to over eight million Indians," she said. Sitharaman said conflict in this region threatens to expand beyond the internal situation in countries such as Iraq, Syria, Yemen and Libya. Talking about Indo-France defence ties, she referred to sacrifice of 9,300 Indian soldiers who laid down their lives on the French soil, fighting in the two world wars.